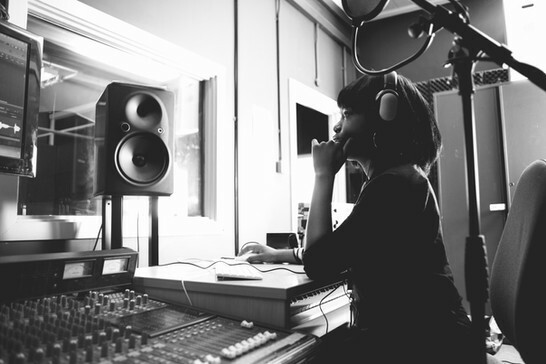 To address the elephant in the room, yes I did put this picture of a person in a music studio on this blog for a reason. Let me explain. One of the first things that I learned in engineering class was that engineering stems over many different fields and aspects of life. Imagine the word engineer like a tree and fields that involve designing, inventing, and architecture are all small, but important branches in that tree. Many people think that an engineer is somebody who builds buildings or something like that- or at least I did at first. It turns out that the field of engineering is very broad, which is why I chose to forge the stereotypical engineer image. That’s right. The photo below is one of an engineer- specifically an audio engineer. “They deal with the technical and mechanical parts of recording, mixing, and reproducing sound” (Sokanu). Pretty cool right? You want to know what else is pretty cool? There are at least 40 different types of engineers! And that doesn’t even go into the subbranches that stem from each field. Knowing this fact, it brings the following question to mind. Why do we have only have one basic image/idea of an engineer? Let me explain. These are the images that showed up when I typed the word ‘engineer’ into ‘Google’. Now this isn’t completely wrong. There are some engineers that look like this at work, but not all of them. Not even close. Wondering what’s the point? High school junior and seniors considering their future careers might turn away from this career because they don’t want to build houses or map out structures all day. This is their idea of an engineer, because they haven’t been taught differently. By the time potential STEM students reach high school, 80 percent of them will lose interest in the field because of a lack of engagement and preparation classes in those fields (U.S News). See the problem yet? I’m not different. This is what I thought an engineer to be years ago as well. It wasn’t until I actually got into the classes and did my own research that my image of one completely changed. And good thing it did. Considering the fact that I’m a computer engineer, it would be pretty odd if I wore a construction helmet to work while programming. My main point is this. Engineering is a diverse field that has something for anybody whose interested in it. Is it an easy field? No. There will be days where you want to scream, quit, or move somewhere far away from technology. However, if you are willing to put in the time and effort. It will be worth it. A professor once told me all engineers are lazy. Well, I say only the dedicated ones have the right to be just that.